Celebrating The Dragon Boat Festival | Memorable Days : Beauty Blog - Korean Beauty, European, American Product Reviews. It's time to celebrate The Dragon Boat Festival (端午節) \^o^/! It's on the 6th of June this year to be exact. 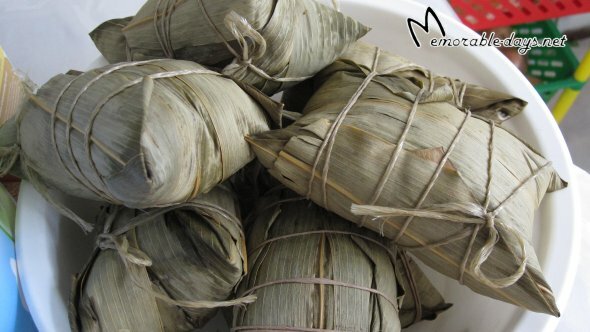 The traditional food for The Dragon Boat Festival is Zong zi (粽子), which is a glutinous rice ball with a filling, wrapped in bamboo leaves. Every year my mom is making a hundred of zong zi's to celebrate this festival ^o^. Have you eaten this before :)? Ngo yieuw sik tjong ahhh! Mijn oma kan dat maken, alleen jammer genoeg woont ze in Hong Kong :|. @Ice pandora, yesss.. she has awesome cooking skills ^^ !! Ohhh dat is zoo lekker! @hihihi, nooo we all don't like it if there is egg in the zhong zi xD so my mom didn't put it in.. She created a new style lol, she's putting curry chicken in the zhong zi =p and it tastes delicious! @Sam, heb nog nooit kue pisang gegeten xD is indonesisch toch? 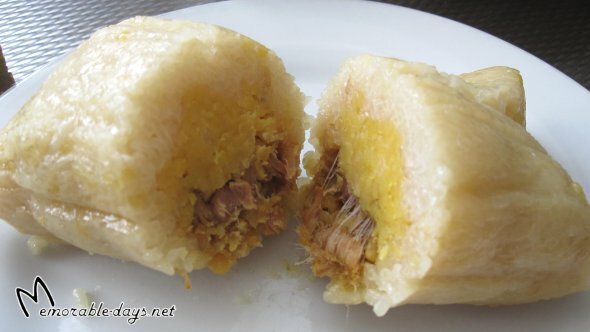 can i drop by and taste one glutinous rice dumpling made by your mom *drool* i haven't even had one for this year yet! @Jennifer, hahaha ofcourse you can!! i will leave one for you =p.. you haven't yet? whoaaa, impossible, you're living in hongkong!! Ow dat ziet er lekker uit!! Waar smaakt het nu naar? they are really delicious !! Lol ik heb thuis nu ook een pan vol zhong zi staan. Dalijk maar eentje eten: heb er zin in! :D Lekker met suiker! Ah, it's here already? I've lost track of such festivals since I got to the UK. I used to eat them every year when I was still in Malaysia. Are those made by your mum? They look delicious!! YUMMMI had it this weekend too! I love the salty kind with peanuts and green bean and all those mixed meat. hehe Luckily my grandma wraps them and make it at home so we don't have to go out to buy any. hehe ENJOY! I haven't eaten those since I moved out of my parents house about two years ago. I miss eating them so much!! @Anna, yeah everybody is making them with a different filling xD..